The South Side is experiencing a wave of laughter and everyone's on alert! 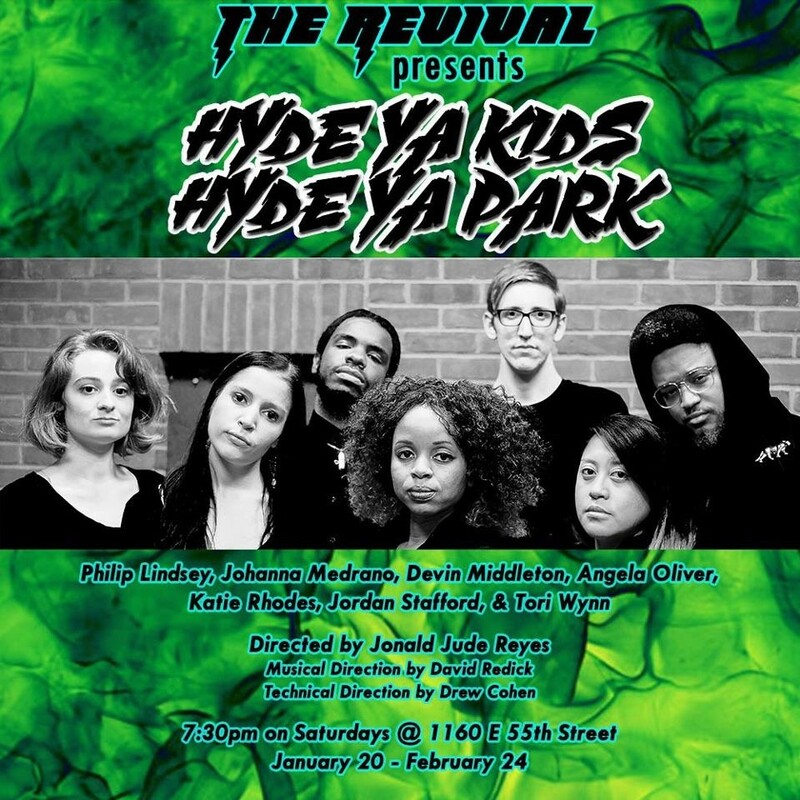 The Revival's Winter Sketch Comedy Revue - HYDE YA KIDS, HYDE YA PARK! - delivers a montage of fierce, silly sketches. Scenes include a musical interpretation of graduate student unionization; a sitcom based in Barack Obama's former law school days; and a women's rap rebuttal to male privilege. America is changing fast y'all! You better HYDE YA KIDS, HYDE YA PARK!